For the fourth consecutive season, a group of friends, fellow referees and I have entered a team into the Walter Gretzky Street Hockey Tournament (#WGSHT). 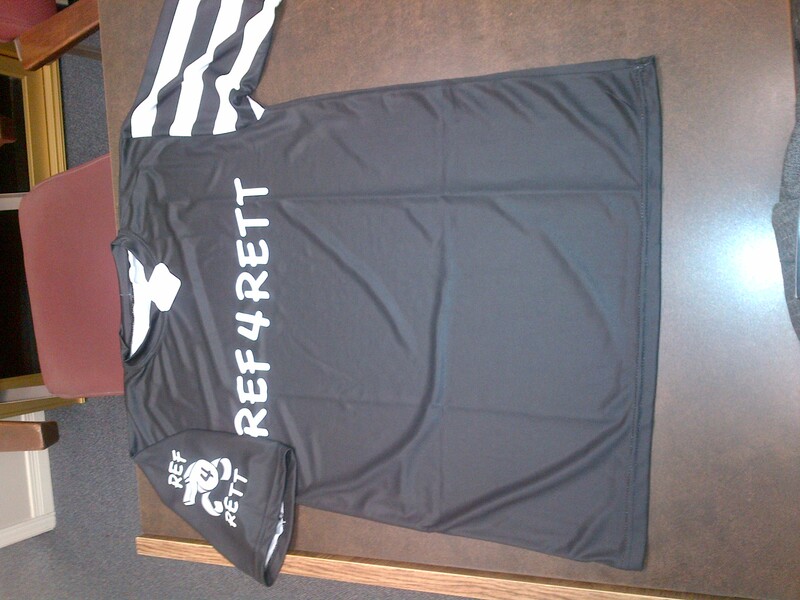 This year, in an effort to continue to raise awareness for Rett Syndrome, we have changed our team name to REF4RETT and have created a custom jersey for the tournament. This year, we have some new faces in the line up and are expecting a stronger team and a better finish than our best finish of 16th last year. 5:00 pm- rink 15 (Anges HodgeSchool) vs. Sober Bullets. We are also hoping for some playoff action on Sunday June 2 as well. Please feel free to come down and cheer us on (we need the support), follow the score on this website, http://bhitourney.goalline.ca/schedule.php?league_id=8287&lang=1 or watch for our twitter updates.